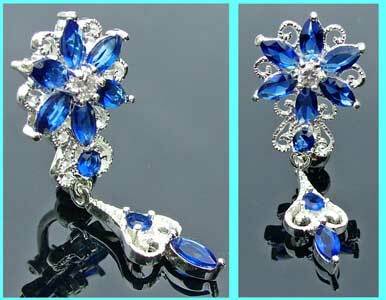 Featuring a sterling silver flower and pendant design which is set with sapphire blue and clear crystals, these reverse style belly bars have a 10mm (3/8") surgical steel barbell and are worn by inserting downwards into the navel piercing. The best eCommerce software by ShopFactory powers P9961. All-in one eCommerce and shopping cart software.